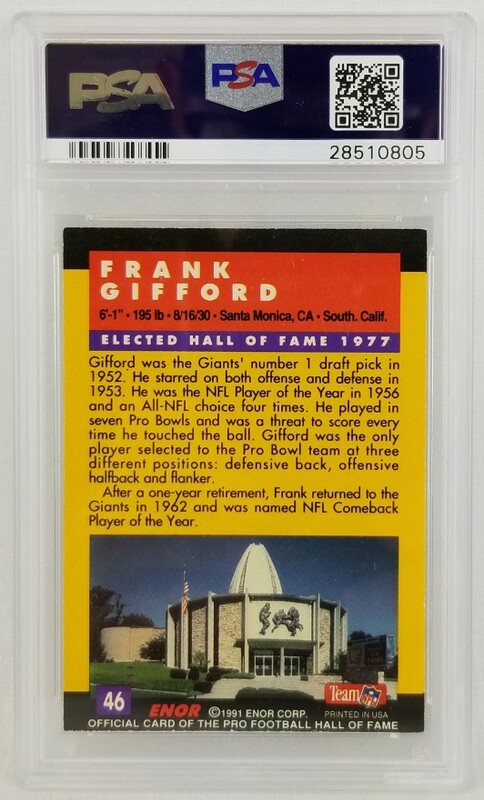 This autographed 1991 Enor Pro Football Hall of Fame #46 football card has been personally hand-signed by Frank Gifford of the New York Giants. 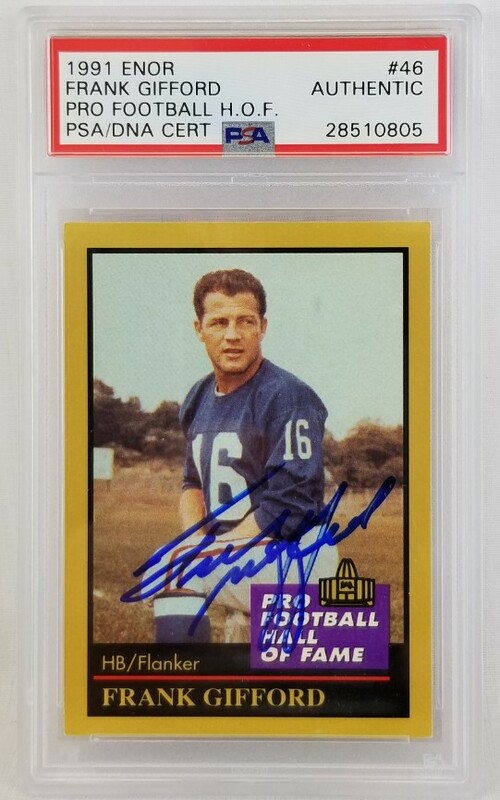 This autograph is certified by Professional Sports Authenticators (PSA). It comes encapsulated and authenticated in the plastic case.